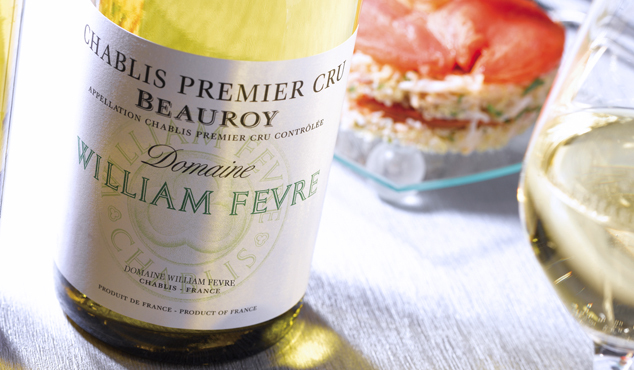 Chablis is already widely known for its unique personality and special minerality… and among these “grands vins”, those of Domaine William Fèvre are iconic. Over half of its vineyards are Premiers and Grands Crus : a white gold hue and vibrant bouquet: fresh fruit, white flowers, citrus, wonderful minerality and incredible purity. On the palate, there’s an abundance of flavours, perfect balance and a unique expression of freshness and elegance. A stunning glass of wine, perfect for enjoying and sharing.